We are very pleased to welcome Sabrina Arcuri who will be spending the next five months with us at SPERI. Sabrina completed a BSc in Environmental Economics and an MSc in local sustainable development and management at the Faculty of Economics of the University of Pisa, with a thesis on the analysis of the environmental performance of local and global food chains. 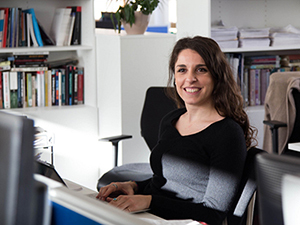 Her current research looks at food assistance in high income countries as an instrument to tackle food insecurity, with a specific focus on the practices of food assistance carried out in Italy. Part of her work has been done under the framework of TRANSMANGO project, which aims to explore food system vulnerabilities in the face of global drivers of change and to understand potential pathways towards a better food and nutrition security (http://www.transmango.eu/). You can contact Sabrina by email: sarcuri1@sheffield.ac.uk.